In an effort spearheaded by NAHB, a dozen Republican and Democratic members of the U.S. Senate on Sept. 11 sent a joint letter to the Trump administration calling on the U.S. to resume softwood lumber trade negotiations with Canada. The 2006 Softwood Lumber Agreement expired Oct. 12, 2015. As the Senate letter noted, “With no follow on agreement in place and new tariffs being imposed averaging just over 20%, lumber prices have skyrocketed, hitting an all-time high in June of this year.” Therefore, senators are calling on the U.S. to negotiate with Canada in a renewed effort to reach a new softwood lumber agreement. At NAHB’s urging, 171 bipartisan members of the House sent a similar letter to the administration in June seeking a resumption of the lumber trade talks. 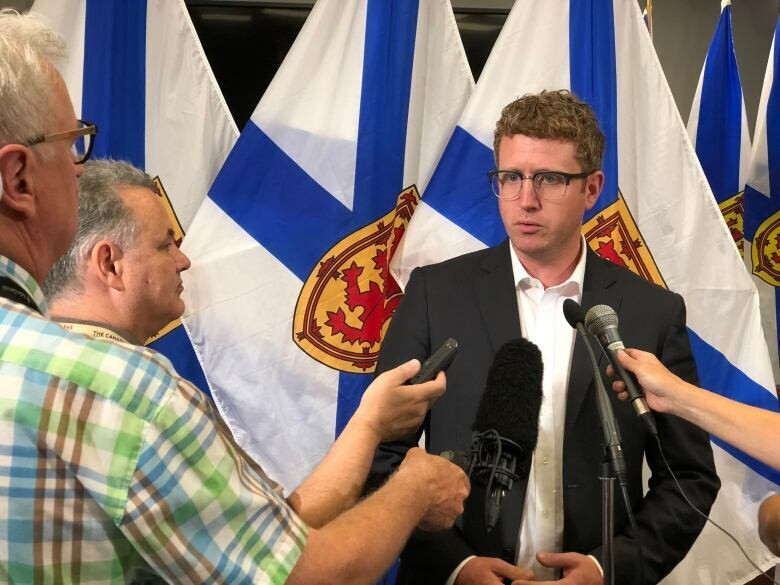 Lands and Forestry Minister Iain Rankin says action related to the Lahey report on forestry could come as soon as this fall, but any changes requiring legislation won’t be introduced until at least the spring. Rankin has yet to provide an in-depth response to the recommendations the president of University of King’s College delivered last month, and that didn’t change during an interview Wednesday. …Rankin said he accepts “the premise that we could do more for ecological-based forestry.” “We’re not really prepared to say which recommendations we will fully accept but in general we do accept the spirit of the report.” …”At this point we can’t really say what impact, if any, it will have on industry, but certainly the practices in how we manage our forests could change,” said Rankin. …Rankin said a more thorough response to the report would come later this year. Prices for inputs to construction fell 0.5% in August but are 8.1% higher than at the same time one year ago, according to an Associated Builders and Contractors analysis of Bureau of Labor Statistics data. Nonresidential construction input prices fell 0.4% in August but are up 8.3% year-over-year. Softwood lumber prices plummeted 9.6% in August yet are up 5% on a yearly basis. …“Stakeholders will be tempted to look upon this month’s inputs to the construction Producer Price Index report as evidence that the cycle of rapidly rising prices is nearing an end,” said ABC Chief Economist Anirban Basu. …“The price of softwood may have fallen in response to a weakening single-family residential construction market, as home builders have been wrestling with a combination of labor shortages, higher land prices and weakening demand due to higher mortgage rates. “In the final analysis, the falling input prices trend likely won’t continue,” said Basu. 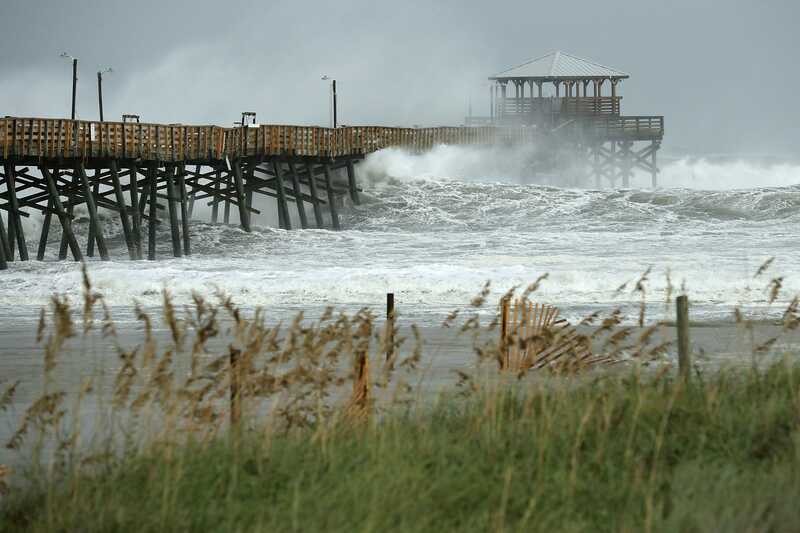 Hurricane Florence forced lumber and paper mills in the Carolinas to close temporarily as strong winds and a deluge of rain hit the coast. …Canfor, one of Canada’s largest lumber producers, closed its Conway and Darlington mills in South Carolina. …Domtar closed the Marlboro paper mill and the Tatum converting site, along with the Plymouth, North Carolina, pulp mill, and operations will resume as soon as “it is safe to do so following the storm,” spokesman Stefan Nowicki. …International Paper Co., the world’s largest paper producer, has facilities in the Carolinas. Spokesman Tom Ryan said the company will disclose any storm impact if it occurs. A lot of mills “are really in the eye of the storm,” said Bernard Rose, operations manager of fiber supply at KapStone Paper & Packaging Corp., which closed one of its paper mills in Charleston, North Carolina, and a lumber mill in Summerville, South Carolina. Just as geeks are now chic, much has changed in school facilities and student housing, with mass timber and wood-frame construction helping to reinvent and transform their design. In the past, cinder-block or other forms of concrete construction were used to satisfy educational institutions’ needs for quick-turn construction. Today, however, schools are placing a premium on organic materials, sustainability and brighter, more flexible, open-layout interiors—all areas where wood construction thrives. Designing and building with wood provides a solution to some of the common challenges that come with education building projects—from tight timelines and limited budgets, to stringent safety requirements and high standards for sustainability. Wood also offers several advantages where student housing is being added to existing neighborhoods. Multi-story wood structures meet residential code requirements and adhere to required safety and structural performance guidelines for urban infill buildings. …Times have changed, for the better, including the design of your next school building. PORTLAND — Timm Locke relishes a chance to drive around Portland and showcase the latest commercial buildings made with mass timber, a construction material that uses wood beams and panels instead of concrete and steel. First stop: Albina Yard, a four-story office building that opened in 2016 featuring cross-laminated timber panels from D.R. Johnson. Other examples… include Carbon 12, an eight-story condominium building on Northeast Fremont Street. …First Tech Federal Credit Union in neighboring Hillsboro last June …is the largest mass timber building in the nation. …The main limiting factor, Locke said, are the international building codes, which are slowly being adapted to catch up to tall wood buildings. Oregon took the extraordinary step in August of adopting the recommendations under its Statewide Alternate Method — the first state to do so. Locke said mass timber has passed every required test and is proving to be just as safe as concrete or steel. This is the era of the glass and steel airport. 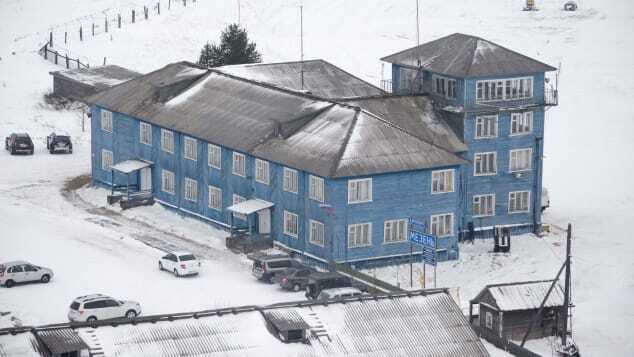 …But all of this is a world away from the remoteness of Russia’s Arctic regions and the Siberian wilderness. …You won’t find huge duty-free shops, fast food joints or big-name fashion brands, but Russia’s wooden airports have a beauty of their own. Some are a little dilapidated, but even then their frailness and simplicity give them a unique and charming character. 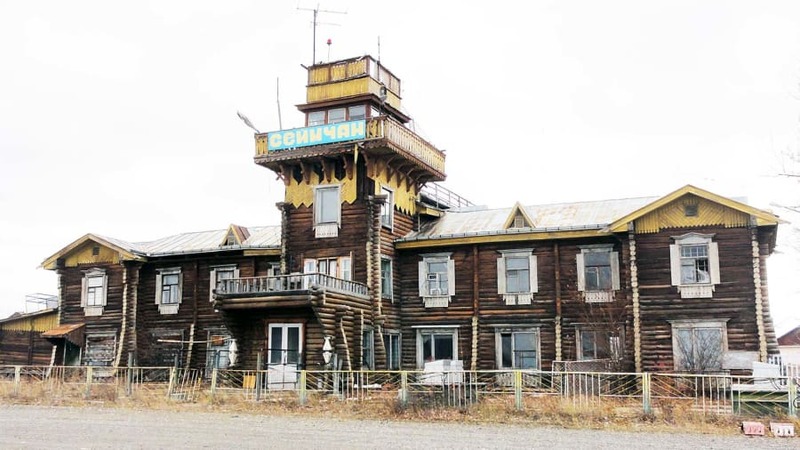 Here’s a travel guide to some of Russia’s most remarkable wooden airports. A new community forest on Vancouver Island will be the first in B.C. to include a revenue-sharing agreement with BC Timber Sales. The provincial government has proposed a similar structure for a community forest on Haida Gwaii. 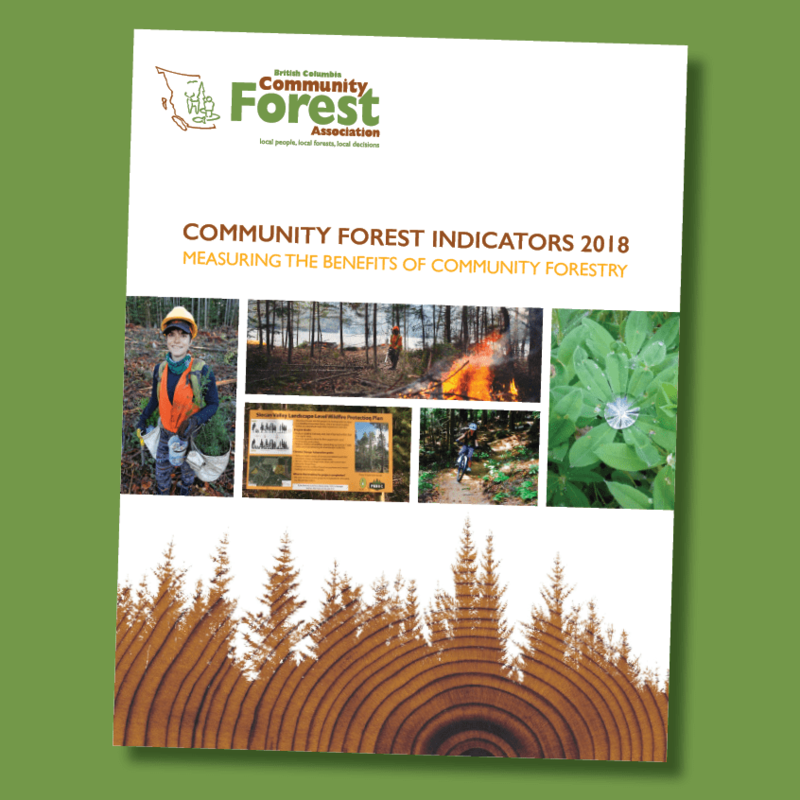 The Qala:yit Community Forest is a partnership between the Cowichan Lake Community Forest Co-operative, the Pacheedaht First Nation, and the provincial government. Under the agreement signed Saturday, the Qala:yit community forest will have an annual cut of 31,498 m3 of timber. Because its tenure includes areas where BCTS is already operating, revenues from a quarter of the annual cut — or 7,296 m3 — will be shared 50/50 between BCTS and the other Qala:yit partners. As Canadian Forces troops headed home from the second straight year of record B.C. wildfires, local politicians called for new incentives for property owners to reduce forest fuels on their land. Delegates at the Union of B.C. Municipalities convention supported a motion from Williams Lake on Thursday, calling for tax breaks and reduced home insurance rates for people who make their properties more resistant to wildfire. … Quesnel council had two resolutions. One noted “very little has been done” to implement the recommendations of the 2003 report from former Manitoba premier Gary Filmon to tackle the fuel load. It called for the province to take the lead on community wildfire protection. “The fundamental weakness in the current approach to protecting interface communities from wildfire risk is the downloading of responsibility for managing and treating Crown forest land to local government,” the resolution states. GREENWOOD — If you want to learn how to throw an axe, ask Althea Gillespie. …It’s not a skill she ever expected she’d be able to put on a resumé but now she and husband Michael are opening an axe-throwing bar in Greenwood called The Lumber Yard. …The interior is all horizontal hemlock boards, galvanized corrugated tin, and wood-topped tables. …The Lawrencetown couple expects to open The Lumber Yard at the beginning of October. And after playing around with names for a bit we end up with The Lumber Yard. All of the wood and that rough feel is just what goes along with it. Four environmental groups are suing the U.S. Forest Service to stop a major logging project on the east shoulder of the Mount Hood National Forest near the White River in north-central Oregon. The complaint, filed by Bark, Oregon Wild, Cascadia Wildlands and WildEarth Guardians, claims the 11,742-acre Crystal Clear Restoration Project threatens habitat for endangered species — including a new breeding pair of wolves. Kameron Sam, district ranger for the Barlow Ranger District on the Mount Hood National Forest, signed off on the project in June to reduce wildfire hazards, provide sustainable timber and boost forest health. It is the largest timber sale in the Mount Hood National Forest in more than a decade, and would roughly double the annual forest-wide timber harvest. WASHINGTON – Continuing his push for active forest management to prevent unnaturally catastrophic wildfires, Rep. Greg Walden, R-Ore., held a hearing Thursday to examine the health impacts of wildfire smoke that has inundated communities in Oregon and across the West this summer. …Walden invited state Senator Herman Baertschiger from Grants Pass to testify during the hearing. …Baertschiger testified that subsequent fires that strike in these areas will inhibit the ability of forests to naturally regenerate. …Studies by the Nature Conservancy, Forest Service and others have found that active management of fire fuels can reduce the size and intensity of wildfires by up to 70 percent, and can reduce carbon emissions from wildfires by up to 85 percent. 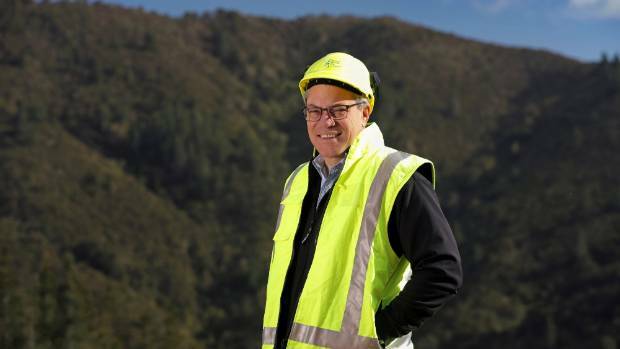 The biggest forestry business in the top of the South Island has committed $500,000 towards research on sedimentation, as the business prepares to launch community consultation on contested forestry practices. Nelson Forests Ltd has also announced a school leaver programme, providing apprenticeships at the Kaituna Sawmill near Blenheim next year. The developments follow studies earlier this year that linked damaging sediment in local river systems to run-off from pine plantations. “We realise that there is a high level of interest in forestry’s role in sedimentation and that our community is looking to us to proactively address this issue,” managing director of Nelson Forest’s management company, Nelson Management Ltd, Lees Seymour said. The company has commissioned Landcare Research and Cawthron Institute to start the research on its 60,000 ha of productive forest in Marlborough, Nelson and Tasman district. A new analysis of global forest loss—the first to examine not only where forests are disappearing, but also why—reveals just how much industrial agriculture is contributing to the loss. The answer: some 5 million hectares—the area of Costa Rica—every year. And despite years of pledges by companies to help reduce deforestation, the amount of forest cleared to plant oil palm and other booming crops remained steady between 2001 and 2015. The finding is “a really big deal,” says tropical ecologist Daniel Nepstad, director of the Earth Innovation Institute, an environmental nonprofit in San Francisco, California, because it suggests that corporate commitments alone are not going to adequately protect forests from expanding agriculture. …Deforestation from commodity-driven agriculture held steady between 2001 and 2015, the span of the analysis. But the trends vary by region. VANCOUVER, BC — With a goal of planting 20,000 trees across Canada by October 2019 with Tree Canada, 7-Eleven, Inc. launches the expansion of RENEW™, 7-Eleven’s emissions offset program. RENEW will be available at more than 60 7-Eleven fueling locations across the Metro Vancouver Regional District. The RENEW program is 7-Eleven’s collaboration with GreenPrint, a company promoting sustainability through the retail petroleum, fleet and consumer product industries. Customers at participating 7-Eleven fueling stations across the Metro Vancouver Regional District can offset their tailpipe emissions by purchasing the same high-quality fuel. …For every litre of fuel purchased as a part of the 7-Eleven RENEW program, an investment will be made in reforestation, green-scape projects, wildlife protection and/or renewable energy projects designed to help offset tailpipe emissions. …In addition to that and to go the extra mile, the RENEW program is working with Tree Canada to participate in volunteer projects and to plant trees. CONCORD — The House and Senate agreed Thursday to override the governor’s veto of a bill to save the state’s six biomass plants. …SB 365, which has been championed by state Sen. Jeb Bradley (R-Wolfeboro), would provide a three-year subsidy to six biomass plants in New Hampshire. One — Pinetree Power — is in Tamworth, and provides 25 jobs and tax revenue to the town and state. The Senate voted to override the veto of SB 365 by a tally of 21-3. Sixteen votes were needed to override the veto. “Overturning the veto of these measures will ensure that the remaining biomass plants in the State of New Hampshire have a chance to survive and continue providing good jobs in some of our most remote communities,” said Senate Majority Leader Jeb Bradley (R-Wolfeboro). Managing Risk – Empowering Good Decisions will take place Saturday, September 29th at the Vancouver Island Conference Centre. Presenters will provide the latest information on controlling risks and safety leadership. New this year, are shorter, high impact sessions to introduce new ideas in managing risk for forestry and wood products manufacturing operations. Conference highlights include presentations by: Terry Small – Brain Health Speaker; Eldeen Pozniak – Pozniak Safety Associates; and Alan Quilley – Safety Results. The conference planning committee is made up of representatives from Labour, Industry, Government, BC Forest Safety and WorkSafeBC. Generous sponsorships from industry, WorkSafeBC and other organizations allow for free admission for delegates. Refreshments and lunch are provided. There is also a trade show with targeted safety products and services for conference attendees. As there is no charge for this conference, please bring non-perishable food items for donation to the Loaves and Fishes food bank. TIGERTON, Wis. — A man from Tigerton is dead after a machine accident at the Tigerton Lumber Company Thursday. The Shawano County Sheriff’s Office and Tigerton EMS and Rescue responded to a report of a 46-year-old man critically hurt while working with logging equipment at the Tigerton Lumber Company in the Village of Tigerton. The Shawano County coroner pronounced the man dead at the scene. Occupational Safety and Health Administration representative told NewsChannel 7 the Shawano County Sheriff’s Office sent a notification of the death today. An investigator is headed to the scene.